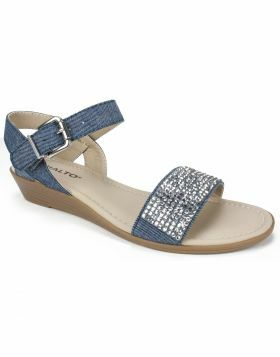 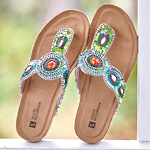 Update your sandal collection with the Zora embellished thong sandal from Rialto shoes. 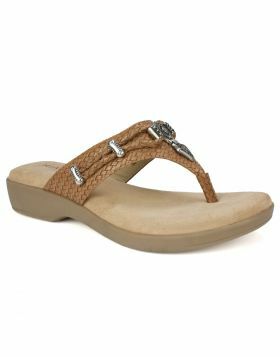 The adjustable ankle strap keeps this casual style in place while the lightly padded insole provides soft comfort. 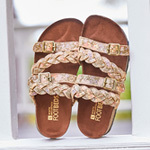 Heel height: 1/2 inch.